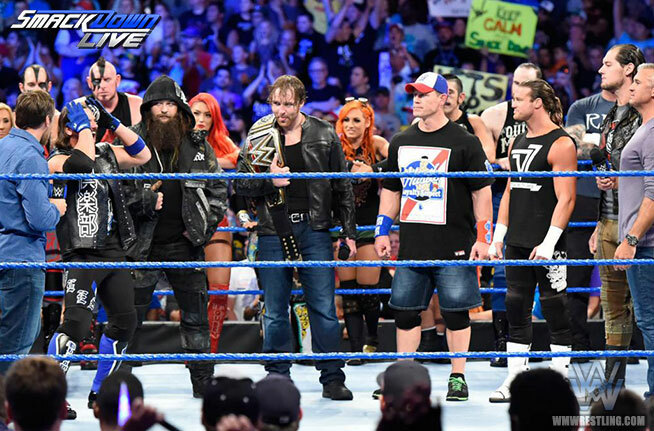 With the first week of WWE after the draft in the books, fans were pleasantly surprised with the changes that occurred on both shows. On Monday Night RAW, fans were astonished by the improvement of the show as a whole, putting more emphasis on the new talent as well as the in ring product. The same occurred on Smackdown Live, just with an hour less time to fit in everything, so most of what happened looked either rushed or confusing. 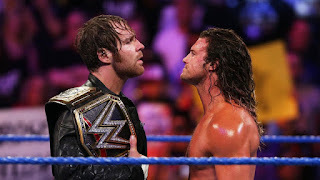 The best part of Smackdown Live however was the main event, which saw Dolph Ziggler become the number one contender to Dean Ambrose’s WWE Championship at Summerslam. With the decision to put Ziggler in that role a lot of fans are wondering why the opportunity is just now coming for Ziggler? The reasons behind it are quite clear, which make Dolph Ziggler the best possible opponent for Dean Ambrose at Summerslam. -Before the brand split, there was definitely no room for superstars to develop, and if you did not make the most of your opportunity or you were not the top guy in Vince McMahon’s eyes, then most likely you were relegated to the mid card. This was the story for Dolph Ziggler, a man who at the time was one of the most over superstars on the roster, garnering the same support from the fans that one would expect to be given to Kevin Owens. However, much of Dolph Ziggler’s career up to this point has been to make other superstars look good, because that is what he is best at. The only real time when fans saw an imminent push on the rise for The Show Off came when he won the World Heavyweight Championship in 2013 over Alberto Del Rio, which he immediately relinquished due to a concussion, and his victory at Survivor Series in 2014, which was originally meant for Roman Reigns, who was injured at the time. With the brands being split once again and someone finally giving Vince McMahon his medication, it seems as though there might be a chance for the guy with the worst wrestling name of the past decade. For someone that has been booked so poorly over the past year, it is rather surprising how he has been able to maintain a positive response from the crowd. Which leads me to my next point…. 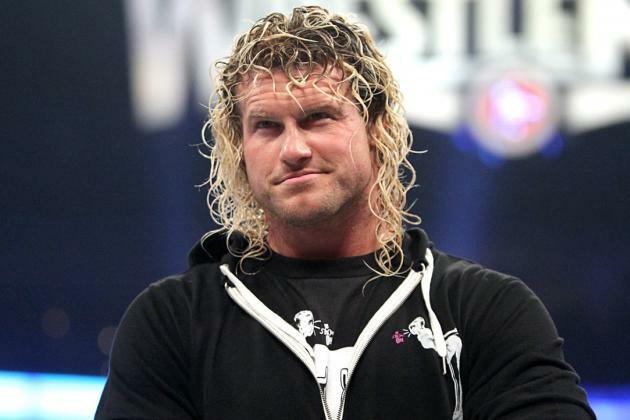 -Dolph Ziggler has jobbed to everyone. Most of 2015 as well as 2016 has seen Dolph Ziggler lay down for everyone from Kevin Owens to Tyler Breeze. Acting as the veteran teaching the young superstars some respect, ala his feud with Baron Corbin, Dolph Ziggler has been booked to make everyone look as good as he possibly could. While guys like Baron Corbin and Tyler Breeze have not panned out as management would have liked, Ziggler still did the company’s dirty work. Ziggler could have easily left the company a year ago when his contract was set to expire, however he decided to stay with the company despite terrible booking and of course his feud with Rusev, which made both of them look absolutely foolish. With Ziggler acting as the team player and doing exactly what was asked of him by the company, now is his chance to be rewarded. 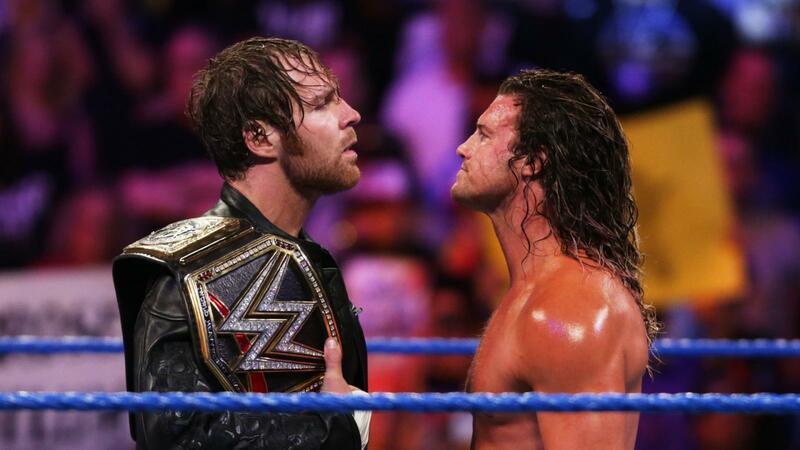 While I do not see him winning the title from Ambrose, the chance for Ziggler to solidify himself as a top contender with a classic at Summerslam is there, which leads to my final point…..
-When Dolph Ziggler is in the ring with anyone not named Baron Corbin, he can give you a good match. If he is working with someone just as good if not better than he is, then he can give you the match of the night. 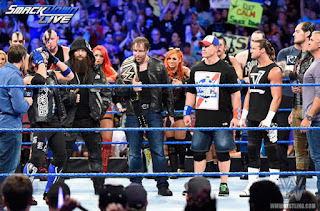 The six pack challenge on Smackdown Live was phenomenal, which was no surprise considering the Ziggler was in the ring with four of the best workers in the company, and Baron Corbin. With the momentum from that win last week, Dolph Ziggler knows this could be a make or break moment for him. Also, Dean Ambrose is definitely out to prove that he is the best champion on both rosters and is deserving of that WWE Championship. Monday Night Raw may have the advantage with Finn Balor vs Seth Rollins for the WWE Universal Championship, but Smackdown has a lot to prove. 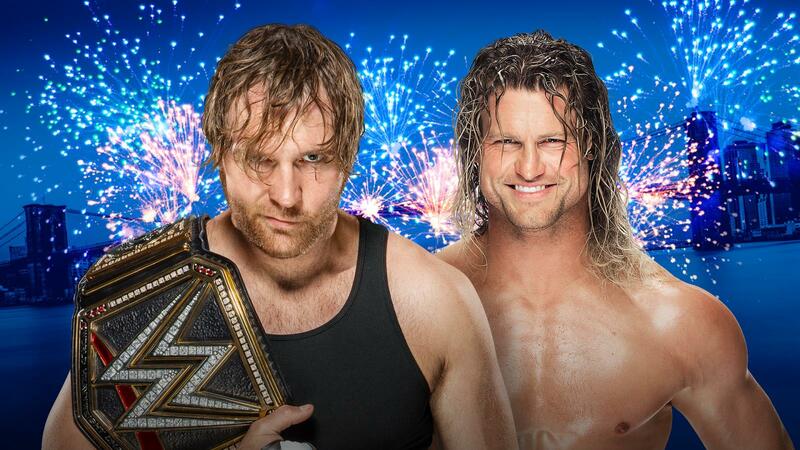 Dolph Ziggler vs Dean Ambrose could prove to be the best match on that card due to the will of both men being on a mission to prove themselves not only to Vince, but to the fans as well. Time will tell how it all plays out, but with AJ Styles vs John Cena already set in stone basically, Ziggler was the perfect choice.